Obviously I still aimed for the Concept2’s – but after my session, I thought I’d have a row on one of these, to see what they’re all about. 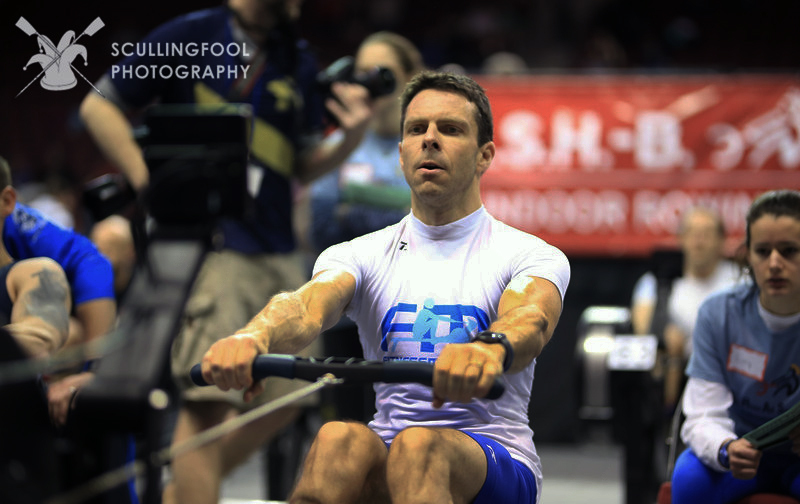 It’s easy to fall into the trap of “It’s not a Concept 2” which I’m trying not to do. Overall, one work describes them for me. There are some really nice features. The foot-straps. There’s probably a needless piece of padding on them, but the addition of a bit of velcro to lock them down is a great idea. One that would be welcome on Concept 2 it must be said! 2 The ‘knob’ to change drag is a lot closer, so you don’t need to whack it with the handle, or get out of your straps to adjust the feel of the row. Erm, and I’m sad to say, that’s all I liked about it. Here then, is what I didn’t like. The screen – it’s packed with info, sure – but it’s not very intuitive to use, and at a point when I’m breathing out of my arse through a row, I don’t want to be searching for the split time. It’s nice that it’s big and shiny, and I was only using it for a quick ‘just row’ style venture, so maybe digging deeper would reveal more. If I have another go, I’ll be more patient – but too much info, and not intuitive to control. The seat. What the hell were they thinking? The seat has odd shapes and ridges on it. Is this meant to give you a guide for where your arse should go? All it did was make me feel like I was sitting on something, or that my shorts had bunched up. Nasty. The feel. Maybe this is the occasion when my time on a C2 affects my judgement. But the chain on a C2 feels like it could be pulled forever. There’s no sudden dip in the feel (the only dip is my lack of power!) But on the Skillrower, it feels like you’re pulling on the end of the chain. All ‘feel’ disappears as you come to the end of the stroke, and it feels weak, loose and soggy. If this is what ‘Aquafeel’ is – I’m happy to never go on the water!!! So overall, it might look like Knightrider, it might have a fancy screen, it may cost upwards of £2500, but it’s uncomfortable to row on, the feel from the chain isn’t right and that screen while doing too much, doesn’t do enough to sell me on it as something I’d go back to. I agree. Tried one today at the local gym, absolute rubbish. People who design things like this should be sacked. The screen is not intuitive to use and the seat is the most uncomfortable thing I have ever sat on. If they are £2500 they I would want my money back. Another frustration you may observe with the Technogym model is the lag of several seconds between the stroke and the performance metrics updating. My gym has just replaced all their concept2 ergs with this model, so it’s time to find a new gym. In my view the Skillrow has a decent, smooth feel and mechanically seems solid, built largely in Concept2 principles. -Results are unreliable, e.g. a break is sometimes considered “infinity speed”, resulting in very good results. Check Technogym’s online ranking and you’ll find records/annual bests well faster than C2.